I am actually afraid to find my meaning in suffering because I do not want to look suffering in the eye. What do you suggest in a case like this? Many people are afraid to examine their own degree of suffering or even their degree of anger because they see no solution once they “look suffering in the eye” (or anger in the eye). Please remember that forgiveness is a strong solution to suffering and anger and so it is all right for you to stand in the truth and see your suffering and see your level of anger. Forgiveness is your safety net. As you see that suffering, bolstered by the confidence that forgiveness gives to you, then try to discern what meaning this suffering has for you. The result is likely to be a significant reduction in that suffering. When you forgive, be gentle with yourself as your anger subsides and as compassion increases. We usually change our thought first about someone who has been unjust to us. Thoughts are more under our control than are our emotions. Just because you have some anger does not mean that you are unforgiving. If your thoughts include “do no harm” and “I wish the other person well” then you are on the forgiveness path. A softened heart in the form of compassion can be a long road and so please be patient with yourself. When you forgive, be sure to exercise other moral virtues along with it. Aristotle counseled us never to practice any of the virtues in isolation. I recommend that you bring the moral virtue of courage on your forgiveness journey. Courage will provide the strength to continue on the journey when you get weary. 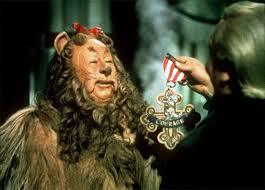 Courage will provide another kind of strength to stand up to those who are treating you unjustly. The softened heart that is forgiveness will temper the courage so that you are not a roaring lion toward your offender. The Guardian.com – Ameneh Bahrami, an Iranian woman who was disfigured and blinded in both eyes after having acid hurled in her face by a university classmate when she repeatedly spurned his offer of marriage, has forgiven her attacker. The pardon came just minutes before the man was to be blinded himself with acid in an “eye for an eye” punishment at Tehran’s judicial hospital. In November 2008, a criminal court in Tehran ordered retribution on Majid Movahedi after he admitted throwing acid at Bahrami, and entitled her to blind him with acid. Instead, she decided to forgive him. The prosecutor general of Tehran described her move as a “courageous act”. Bahrami, who has an electronics degree and worked in a medical engineering company before the attack, moved to Spain with the help of the Iranian government where she has undergone a series of unsuccessful operations. She briefly recovered half the vision in her right eye in 2007 but an infection blinded her again. 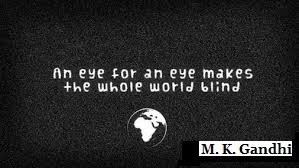 She has recently published a book in Germany, Eye for an Eye, based on her life. 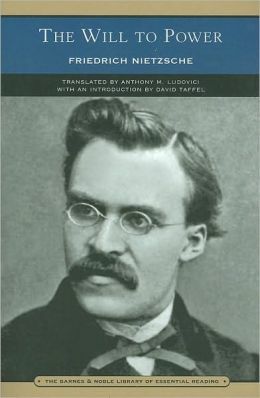 Friedrich Nietzsche in the 19th century popularized a view of the world that he called the Will to Power. His was a response to the emerging Darwinist view of evolution that there is a Will to Survive by all living things, not deliberately conscious (because, for example, blades of grass or turtles do not consciously reflect on such a will to survive). For Nietzsche, the Will to Survive was not, well, powerful enough to explain how living organisms and systems work. Grasses do not only struggle to live, but to expand territory by pushing out other living forms for a larger habitat. Thus, even grass has the Will to Power, to control or even to (again unconsciously) dominate. Viktor Frankl, a psychoanalytic psychologist, imprisoned in concentration camps during World War II, had a direct response to Nietzsche by saying that the primary human force is the Will to Meaning, a will to make sense out of life and particularly out of suffering. Finding meaning, not a specific meaning common to all people, but finding a meaning itself has the survival value. As people think of life as meaningless, then they die. Yet, this contentless Will to Meaning has a contradiction in it. It cannot be opposing Nietzsche’s Will to Power if, in finding meaning, one person’s meaning for life is to gain more influence over another. In other words, Frankl’s deliberately contentless theme of the Will to Meaning must accommodate the content in some people’s minds that the Will to Power is their own personal meaning to life. It is the way the world works, at least as some people try to make meaning out of a cruel world. Yet, Frankl’s view, I think, is a developmentally more sophisticated worldview because it makes room for much more than the brutish vying for dominance and control in the world. Jesus Christ, in contrast to Nietzsche and Frankl, has a different worldview. 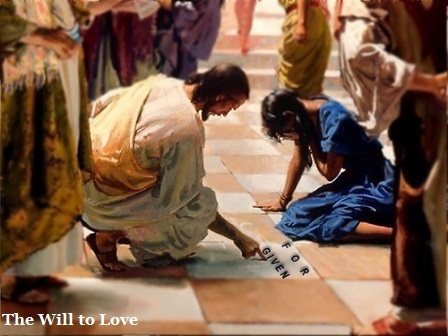 It is the Will to Love. Others, of course, have said this, too, but we must be scholarly here and give credit to the original proclamations. This Will to Love consciously repudiates the need to dominate, to seek power. Even if Nietzsche is correct that the Will to Power typifies the untrained, under-developed will of humanity, Christ’s challenge is to overcome that. Nietzsche, in other words, takes what is and mistakenly presumes that this is what ought to be. Frankl, in contrast, takes what is (we are presuming for now that the Will to Power is a natural tendency in humans) and is showing us that we can fill in the blank with other, perhaps better content when we ask, “What is the meaning of life and suffering for me?” Christ, in contrast to Frankl, and in common with Nietzsche, commits to one particular content—in this case, love—as the central Will for humanity. It seems to me that we have a developmental progression here in terms of a greater fulfillment of humanity, the fulfillment of who we are as persons. We start in the mire of a Will to Power and can do great damage if we stay there, and if the world stays there. The Will to Meaning is a transition in that it takes us out of the inevitability of seeking power. The Will to Love, which honors the life of all, is the highest of these world views. Why? Because it is the only one of the three that is intimately concerned about all life. If humanity will survive, our questing after the Will to Power is a dangerous path because in its conscious, extreme form, it destroys others so that one’s own domain can expand. To those like Nietzsche who think that love and the equality of persons is a weakened view of humanity, my response is this: How are you distorting the moral virtue of love? How are you misunderstanding it? To love is to help with the survival of all others, not to destroy for one’s own survival, dominance, and control. 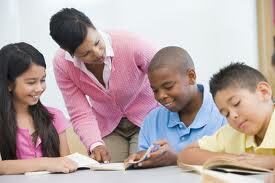 In the seeking of others’ betterment, one finds vitality and joy and gives the freedom to others to do the same. The Will to Love is the only assurance of survival and the thriving of all, including the self. Which of these world views will you bring to others today? My friend stole some money from me while I was sleeping and when I confronted her, she denied it. But it is obvious that she took it because I had a $20 in my purse and then it was gone. How can I talk with her so that we can have a possibility of reconciling? If you are sure that she took the money, then your first forgiving her will make dialogue easier because you will not be talking while deeply resentful. After your anger has reduced because of forgiveness, I would then initiate the dialogue and look for what I call “the 3 R’s” of remorse (inner sorrow), repentance (verbally expressing regret), and recompense (repaying the money) on her part. If she demonstrates the 3 R’s in a sincere way, this will be a first step to restoring your trust. Trust is an important step to complete reconciliation. There are moments when the human body may be stripped of its physical skills, but the human spirit is not broken. Here is the story of a lady who is a testament to that. The year was 1989 and 26-year-old Laura Chagnon was merely walking down a Boston street. She didn’t know that would be the day her life would take a 180 degree turn. She was the victim of a senseless assault by one or more people; the detectives never caught the individual(s). More important was the result, one minute ambulatory, Laura was now quadriplegic, legally blind with a head injury. To this day, her short-term memory is not very good. She was in a coma for 5 weeks and came out of it feeling a sense of loss. Her legs were no longer her legs because now she could not walk. She could no longer use her hands. Four years in physical rehabilitation facilities followed. Doctors told her parents that her cognitive ability was minimal and to save the aggravation and put her in an institution for the rest of her life. They refused, their unconditional love was stronger than the doctor’s advice. The doctors said Laura would be a vegetable, still her parents would not break. In 1993, Laura returned to live at home with her parents. She had caregivers around the clock to be her eyes and hands. She would not let life be a pity party and wanted to be a productive member of society. Laura started to dictate sentences to her caregivers and the sentences evolved into poems. One poem after another, each day more poems. Now, her identity changed, she didn’t feel like a quadriplegic woman, she proudly said she was a poet. Laura’s poems were of very good quality and were printed in local newspapers. She told people she was some day going to be a published poet with her book of poetry to be shared with the world. For more than 20 years, her poetry was basically a well kept secret. If you read her works, I think you would agree she can hold her own with any poet out there. Now anybody can be the judge of that. Her published book, “Never Touched A Pen” the inspiring poetry of Laura Chagnon can be ordered at www.civinmediarelations.com. How many children are heading toward this same set of conclusions about oneself and others? Too many. The world needs forgiveness education so that we can rescue the young from these lies….and so that they can pick themselves up…..and others up…….and create a more peaceful world.